So, maybe you work for a small employer who doesn’t offer a 401k or a pension plan. Or maybe you’re in high school at your first job, making just a little above minimum wage, and even though it’s a big company like Walmart or McDonald’s, the job just doesn’t include a 401k plan. Looks like you’ll need to wait for another, better job before you can start saving for retirement, right? What if I told you that you don’t need to have a 401k plan or use some stupid gimmicky gimmick like a myRA to start saving for retirement. You can get all of the compounding and all of the tax advantages of a 401k plan. In fact, it is even better because you won’t have your investment choices limited to a few funds like you will in a 401k plan. The only disadvantage is that you won’t have an employer match, but that is no excuse for not getting started. As long as you have earned income (meaning income from a job or a personal business), you can start and put money into an IRA. You don’t need your employer to do anything. Money placed into an IRA can be invested in virtually anything and you won’t need to worry about taxes on the money, at least until retirement. This means, for example, that you can buy and sell stocks without worrying about capital gains taxes or any other taxes to make your tax returns get thicker and more complicated. If you contribute at least 15% of your salary (or the maximum, which ever is lower) to an IRA each year, invest it properly (more on that in a moment), and DON’T TOUCH IT, you’ll be set for retirement. Just like you would be if you had a pension plan. In fact, you’ll probably do a lot better with an IRA than you will with a traditional pension plan! You can even set yourself up to get regular payments for the rest of your life at retirement. What kind of retirement income are we talking about here? Let’s say you’re 20 and you make $24,000 per year at a job that doesn’t offer a pension plan. You open an IRA account and start to put away $200 per month, or about $2400 per year into the IRA and invest it in stock mutual funds. Assuming fairly standard returns on your investments, even if you never saw your salary increase your whole working career, at age 70 your IRA account would be worth a little over $1M after inflation. If you were to withdraw 4% per year, you’d have an income of about $40,000 per year for the rest of your life. That’s before Social Security or any other income! That’s right, you’d be a millionaire on a $24,000 per year job! Now, hopefully you wouldn’t spend your whole life making $24,000 per year. You’d move your way up and be making $50,000 or more per year by the time you reached retirement age. But even if you did, as long as you were putting money away regularly and FOLLOWING THE RULES, you’d retire a millionaire. 1. Contribute to your IRA EVERY YEAR. If you want to be successful, you need to start putting money away regularly. If you wait until the time is just right, or you stop investing because you’re worried about the stock market or something, you won’t make it. Put yourself on automatic payments to your IRA and don’t stop. Period. Put away somewhere between 10% and 15% of your income, regardless of what the stock market is doing or what your friends and family all say. Put money away and keep investing. Every. Year. 2. Don’t ever touch your IRA money. You couldn’t go to the pension fund manager at work and ask to pull out your pension when you are only 35. he’d just laugh and say that that wasn’t how things work. Likewise, you can’t call up Uncle Sam and ask for your Social Security money at age 45, even if you really wanted the money. Your IRA is the same way. Unfortunately, the government lets you take out your money early — after they charge you a big penalty and lots of taxes on the money — but they really shouldn’t. Every time you pull a few thousand dollars out of your IRA, you’re giving up hundreds of thousands of dollars in the future. 3. Invest the money right. Luckily, it really isn’t that hard to invest your money well. It is really hard to invest it perfectly, but you don’t need to invest perfectly in order to retire a millionaire. You just need to invest fairly well. That means investing the money in stocks and bonds. (You may think that putting your money in a CD would be safer, but you’ll actually lose a little to inflation each year if you do so. If history is a guide, as long as you leave your money invested for many years, you’ll make more than inflation in stocks and bonds.) That means leaving the money alone once you’ve invested it and not buying and selling stocks and bonds because you get excited or worried. We’ll talk about how to invest your money in a bit. There are two types of IRAs, called traditional IRAs and Roth IRAs. Traditional IRAs have been around the longest, as you may have guessed from the name. If you put your money into a traditional IRA, you’ll get to deduct the money from your taxes now. For example, if you’re in the 10% tax bracket and put $5,000 into a traditional IRA, you’ll get to reduce your taxes by $500. Sweet! But there’s a catch: When you withdraw the money in 40 years, you’ll need to pay taxes on both the money you put into the account and all of the interest and capital gains you’ve made. With a Roth IRA, you won’t get a deduction today. But, when you take the money out in 40 years, assuming the laws haven’t changed by then, it will all be tax-free! Because you have already paid the taxes on the money, you will also not be foced to take out the money until you want to. This means you’ll be able to leave whatever you don’t need in the IRA growing tax-free. With a traditional IRA, because the government wants their money, you’ll be forced to start withdrawing the money at age 70 1/2 and have most of the money withdrawn by the time you reach your nineties. Which is better? Well, if you’re in the same tax bracket when you retire as you are when you put the money in, you’ll actually come out exactly the same. Most people will be in a higher tax bracket when they’re pulling the money out, however (remember you’ll be a millionaire), so the Roth is normally better. The again, if using a traditional IRA and getting the tax savings now will allow you to put in extra money, go ahead and use the traditional. You can also open two accounts, one traditional and one Roth, and put some money into each. Note that you’ll be forced to use a traditional IRA if you make too much income — don’t want a bunch of high earners getting tax breaks, apparently! To get started, open up a special savings account away from your regular savings account and save up some cash. You’ll need a couple hundred dollars to start. Go to Vanguard or Schwab and fill out the forms to open an account. If you don’t know how, just chat with someone at these websites or give them a call. They’ll be happy to help. You can choose a traditional IRA or a Roth IRA. Set up direct deposits, where the money is pulled out of your checking or savings account each month. Set it up so that the money comes out right after you get each new paycheck. This way, it will all be automatic and you won’t miss a payment. Once you’ve got money in the account, start to invest it. How to do that? Read on. There are really two ways to invest. I liken it to using an automatic or a manual transmission in a car. Using an automatic is easier, but, if you really know what you’re doing, you can get better performance with a manual transmission. Then again, if you don’t know what you’re doing, you can break the car. If you want to go the automatic route, choose a Target Retirement Fund from the list. These will have a four-digit date in their title. An example from Vanguard is the Target Retirement 2050 fund. An example from Schwab is the Schwab Target 2050 Index Fund. Which fund to choose? Well, that’s what the date is for. The target date of the fund is your retirement date. Figure out what year you’ll be 70 and choose a fund with a date that is fairly close to that date. For example, if you’re 20 today, choose a 2070 fund. If you’re 32, choose a 2050 or a 2055 fund. Very important: If you choose a target date fund, DO NOT BUY ANY OTHER FUNDS. A target date fund is designed to properly allocate your money for you. If you add other funds, you’ll mess up that balance. This is like using an automatic car, but then trying to shift it as you drive anyway. Not good. You can get a little more performance if you choose the manual route, but you need to have a little more knowledge of what you’re doing. This means you’ll need to study a bit and learn about things like diversification, volatility, and investment horizons. It isn’t that hard, especially if you stick to index mutual funds, but there is still a bit of a learning curve. If you decide you want to take the manual route, start out with a target date fund anyway. Because the biggest factor is time, you want to start investing as soon as possible. In fact, if you invest $2,000 per year all through your twenties and early thirties, you could stop and have more money at age 70 than you would if you started in your late thirties and invested $4,000 per year from then through retirement thirty years later! Invest early and you’ll do a lot less of the heavy lifting. After you’ve got your account started, start learning. Besides being a steady reader of The Small Investor, of course, pick up a copy of The Bogleheads’ Guide to Investing . They give you all the details of how to invest using what are called index funds, which is what you’ll want to use in your IRA primarily. These funds buy a fixed set of stocks and bonds that essentially mimic the behavior of a segment of the stock or bond markets These funds have lower fees than traditional mutual funds where a manager decides how to invest the money. Studies have shown that lower fees win. This book is highly recommended since we won’t go into this level of detail today. Once you’ve finished Bogleheads, pick up a copy of the SmallIvy Book of Investing: Book 1: Investing to Become Wealthy . It provides a lot more information on the risks and rewards involved in using many forms of investments. In particular, it discusses strategies for using both individual stocks and mutual funds. After finishing that book, you may decide to add a few individual stcoks to your IRA as well, or open a standard brokerage account and start building up investments there. Once you’ve got your IRA started and are making automated deposits, kick back and leave things alone. If you’ve chosen the automated plan, don’t do anything. If you’ve chosen the manual approach, you’ll need to make a few adjustments here and there, but don’t try to move money around to beat the markets because you won’t. Most people trying to time the markets don’t do as well as they would have if they had just left the money alone. This is because they sell just before a big run-up and then buy in near a market top. Instead, just relax and leave things alone. As time goes on, try to increase your contributions as you get raises. Keep adding until you’re contributing about 15% of your gross salary to your retirement plan. If you find that you’re having trouble putting away this much money, in addition to working to increase your income by moving up at your job or doing a side-hustle, you may need to take control of your cash flow better. 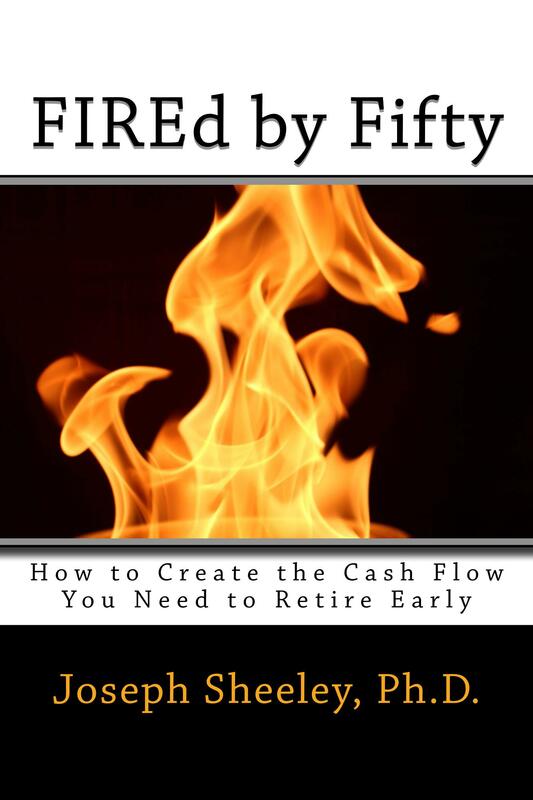 To learn how to do this, check out FIREd by Fifty: How to Create the Cash Flow You Need to Retire Early . 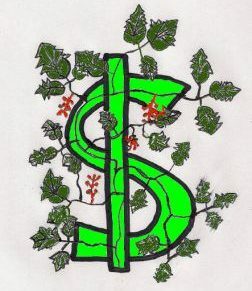 This book gives a strategy for building a cash flow plan and freeing up money to build wealth. After that, just kick back and get on with other things, knowing your retirement is set. The only things that could affect you would be if you do something stupid, like taking money out before retirement time. Next Should You Use a Roth IRA to Save Up for a Home?